Do you believe in angels? I do! I have been thinking about my mother a lot this week. Nothing makes you love & appreciate your mother more, than becoming a mother yourself. It is a crazy thing. 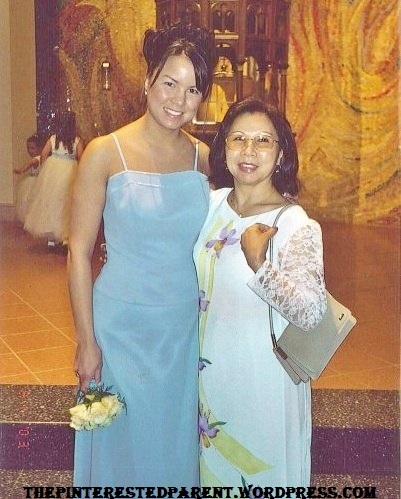 I can remember every smart comment & every eye roll that I ever directed toward my mother. Now looking back, I wish I could take all of those back, because I finally get it. I know why you wanted me to put that puffy coat over my princess costume when we were trick or treating. I understand why you wouldn’t let me eat Lucky Charms. I get all these things now because I have become you. I wish I could tell you those things. I wish I could ask for your advice. 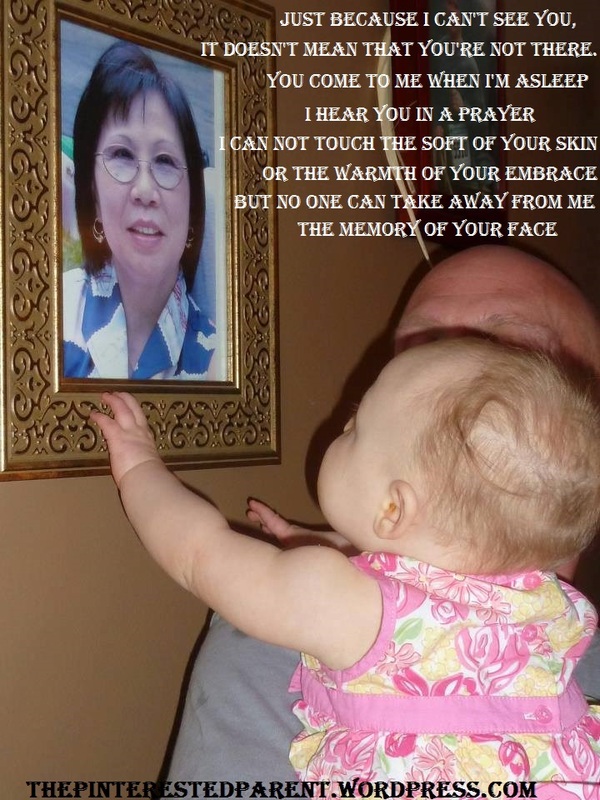 I wish that you had gotten a chance to meet your beautiful grand daughter, but you are gone. My mother battled breast cancer, not once but twice. When my mother was diagnosed the second time, it was shocking. Even more shocking was when we found out that she was already in stage 4. Six weeks after her diagnosis she was admitted in the ICU. I didn’t leave her bed side for a week. I slept at the hospital in the waiting rooms & had the nurses page me when she woke, so that she was never by herself. My grandfather died of cancer when I was just a little girl. I never met him, but heard my mother speak of him often. 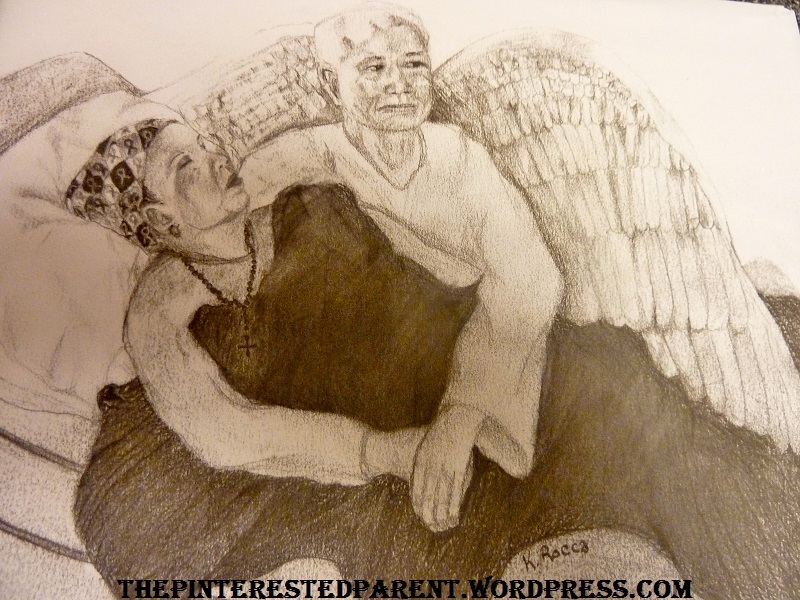 I wanted my mother to know that she was not alone. I didn’t want her to be afraid. I tried to ease her fears by telling her that grandpa was watching over her & that he would protect her. I drew this picture one morning while I was sitting by her bed. Later that day, my grandfather & her were reunited. She became the angel that she always was. Fast forward six years to the birth of my daughter. From the moment I found out I was having a little girl, there was only one name that she could ever possibly be. Mai, of course was named after her grandmother. When she was born, we surrounded Mai with pictures of my mother & my father-in-law, who we also lost a year before her birth. We wanted their presences to be with her always. 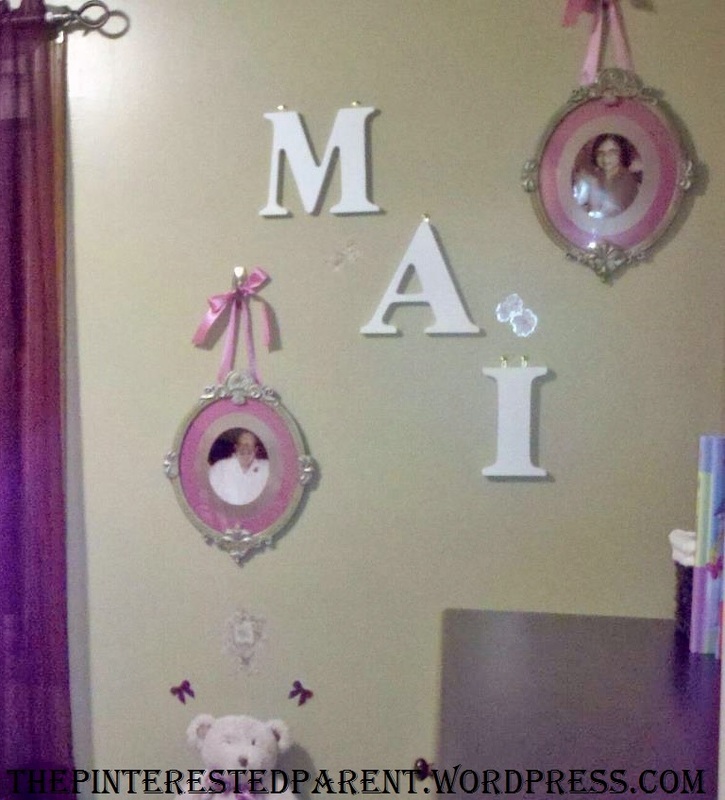 In her nursery a picture of both her grandmother & grandfather are proudly mounted on the wall, looking over her as she sleeps. Just because I can’t see you, it doesn’t mean that you’re not there. You come to me when I’m asleep. I hear you in a prayer. I can not touch the soft of your skin or the warmth of your embrace. But no one can take away from me the memory of your face. My husband was holding our daughter & she was laughing,squealing & kicking her little feet. Mai was reaching past my husband and grabbing at my mother’s picture. It was as if she knew. She has had such a recognition of her since she was an infant. Grandma must come to visit often. I have spoken to others that have lost a loved one & all have had similar stories of the children in their family having a special bond with the loved one, even though they never have met. I have to believe that my mother is still with us. Very heart warming.. In dead we all have the greatest mom in the world. This post make me wanna hug my mom now. Hug her and do it often. Thank you for this post! It’s my mom’s birthday today and I thank God that my mom is still with us. Happy birthday to your mother. May she have many more. You must have missed your mother so much. Remembering her brings all the happy memories. This brought tears to my eyes, especially looking at your little one with her picture. My aunt passed away from breast cancer- a 2nd onset after remission and it is one of the hardest things I have gone through. My dad has lung cancer (in remission) and I dread the day I have to say good bye. Losing my aunt taught me a valuable lesson- hug your loved ones close, tell them you love them often, and life is too short.. Enjoy it. I’m so sorry for your loss, thank you for sharing though! Thank you, Katie. It has been a long time since I lost her but I still miss her everyday. It definitely does open your eyes to what is important. Hi Kim, I love this post. It’s beautifully written. Yes, I believe in angels and you are right your mother does love you and your daughter. Our mother’s love never leaves us. My mother passed away no too long ago and my youngest never go to meet her. I know my mother looks down on her and hold her in love through her spirit. My daughter points at my mom’s pictures and says gama, gama. It’s so touching. Thank you Debbie, for your kind words. So sorry for the loss of ur mother. When I hear any of my friends complain about their mothers, it hurts my heart. Not that I didn’t ever do the same but I would give anything to have the chance to be nagged by my mother just one more time. Such a beautiful post! I am so sorry about your mom. You have written such lovely words about her. I feel all moms deserve to be treated with much love and respect. Life is too short to do otherwise. I have subscribed to your blog via Bloglovin. Thanks you so much, Bismah. I hope you and your family have a happy holiday. “She has had such a recognition of her since she was an infant. Grandma must come to visit often.” << that is so beautiful! It's just amazing the connection babies have with grandparents no matter where they are. Thank you, Melanie. It really is incredible. I hope she keeps that recognition. We will share stories of her grandparents with her often. May Allah bless those who left this world to another one.